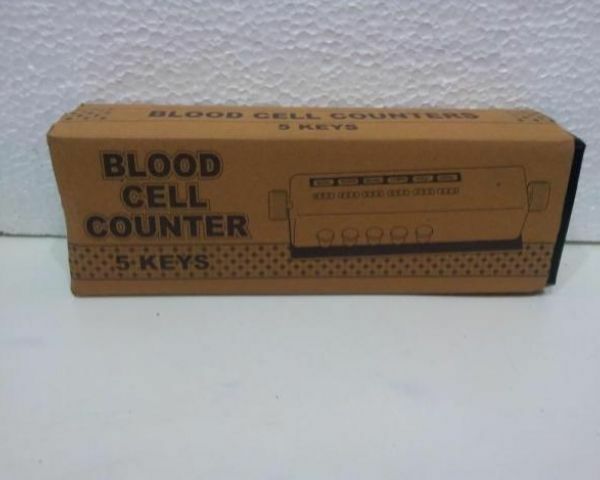 Blood cell Counter is a heavy duty, five cell counter. It records up to 999 for each cell. It also has a totalizer that show the sum of all five counters. Supplied with a protective case.